← 151 "Much Apu About Nothing"
The family enters in a black-light haze, lighting returns to normal when Homer turns on the lights. Homerpalooza is the twenty-fourth episode of season 7. It originally aired on May 19, 1996. The episode was written by Brent Forrester and directed by Wes Archer. Peter Frampton, Cypress Hill, The Smashing Pumpkins and Sonic Youth guest stars. "After Bart and Lisa inform Homer that his taste in music has become old, he decides to get into the current music scene and takes the kids to a music festival, Hullabalooza, where he accidentally discovers he has a talent for taking a canon ball to the gut. Soon Homer finds himself traveling with the festival and putting his health in danger as he continues performing his amazing feat for cheering crowds." When the school bus is destroyed in an accident, Homer drives Bart, Lisa, Nelson and Milhouse to school. During the journey, he listens to a Grand Funk Railroad track and is shocked when the kids say that they've never heard of it. Eventually he goes to a music store and is shocked when his music is classified under the "oldies" section. To prove that he's cool he takes his kids to the Hullabalooza Festival. After being humiliated, he is kicked out by the crowd and then out of anger, kicks a cannon which fires a inflatable pig which hits him in the stomach. The festival head is impressed at Homer's ability to take blows to the stomach and hires him for his freak show. Homer travels around with the Hullabalooza crew for a while before going back for another tour date in Springfield. He is persuaded to go to a doctor who tells him that if he takes another cannonball to the stomach, he will die. As his place in the show approaches he decides to dodge the cannonball, which makes him unpopular again, but earns him the respect of his family back. 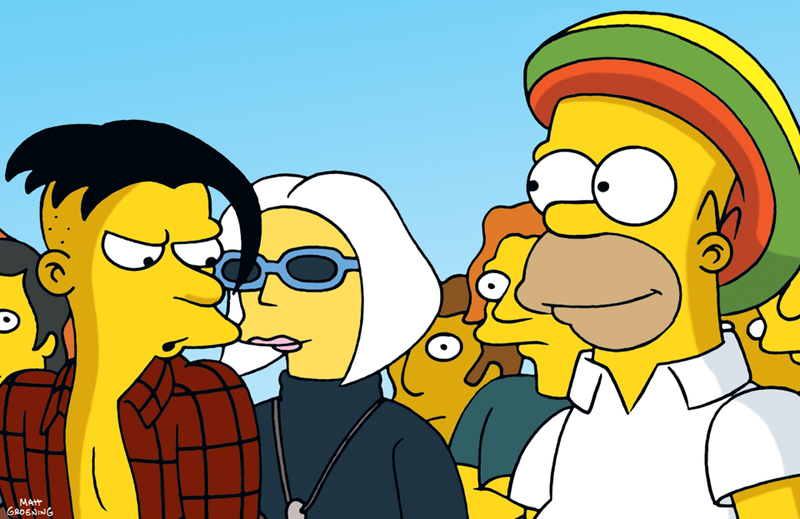 Special guest appearances are made by Peter Frampton, Cypress Hill, The Smashing Pumpkins and Sonic Youth (who performed the theme song heard at the end of the episode), all as themselves. 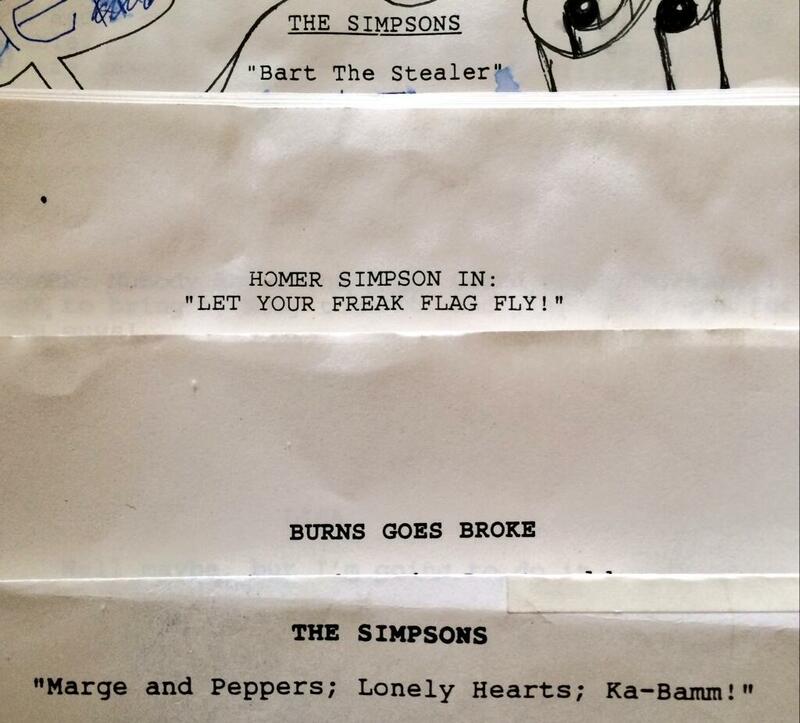 The early working title for the episode was "Homer Simpson in: Let Your Freak Flag Fly!". 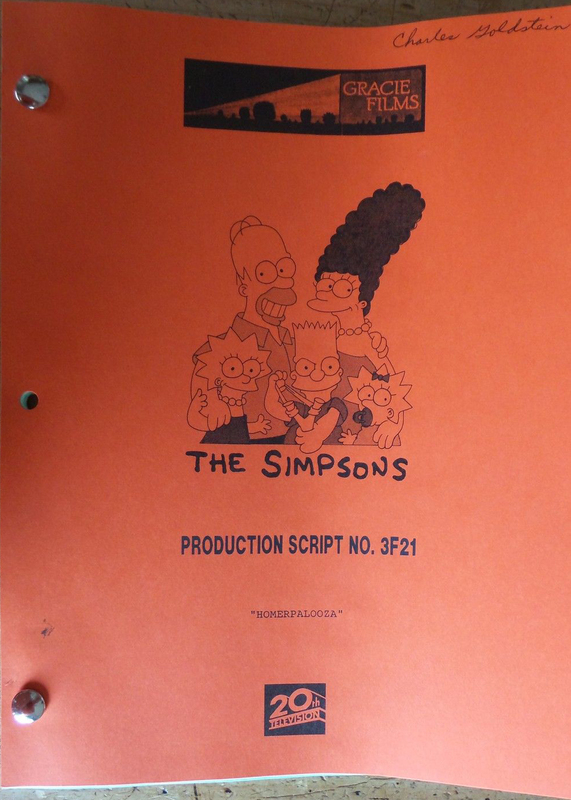 Wikisimpsons has a collection of images related to "Homerpalooza". Modified on July 9, 2017, at 06:39.